Portiuncula Hospital, Ballinasloe, is about to get a new 24-hour seven-day emergency stroke service which will save local lives, according to Denis Naughten. Over the last two years, Naughten has been lobbying and publicly pressing both Government and the HSE for the installation of these machines in hospitals without a full emergency stroke service. This machine will now link the hospital with the top stroke experts in the country. “Portiuncula and Mayo General hospitals have taken delivery of a new telemedicine stroke machine, which will for the first time ever ensure that the hospitals have one of the best possible emergency stroke services in the world,” Naughten said. The new Teledoc stroke machines are two of seven which until recently were in storage in Cork waiting to be rolled out to hospitals throughout the country. 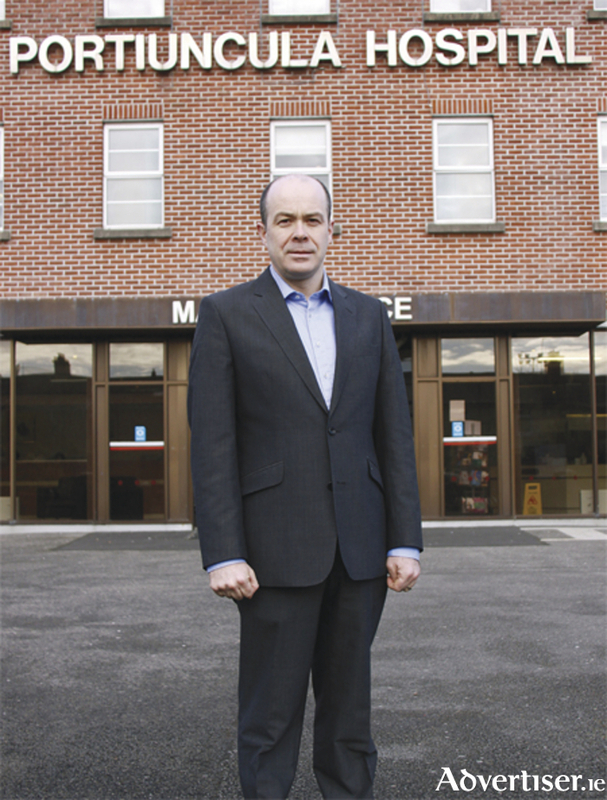 “The importance of this machine to hospitals like Ballinasloe and Castlebar cannot be underestimated,” Naughten said. If someone diagnosed with a stroke within four hours of its onset cannot be treated in Castlebar, they must be transferred one hour and 20 minutes to Galway, or 40 minutes in the case of Ballinasloe. “Last November, I raised the issue directly with Minister Varadkar in the Dáil. He gave me a commitment to follow through on the issue. I’m glad that due to the intervention of An Taoiseach and the Minister for Health that these machines are now being rolled out nationally. The arrival of the telemedicine stroke machine is the first phase of the delivery of this project. I understand that staff are about to commence training on the machines. “On the completion of that training, I hope that the machine will be linked up with Galway University Hospital’s stroke team. Not only can these machines provide a lifesaving emergency stroke service, but I understand that some of the hospitals are looking to expand the use of the machines to fast-track treatment of patients in intensive care, as well as for burns, orthopaedics, and neurology patients.